Charles Walford, born in Malvern was the son of john and Fanny Walford of 1 Link View, Albert Park Road, Malvern Link. 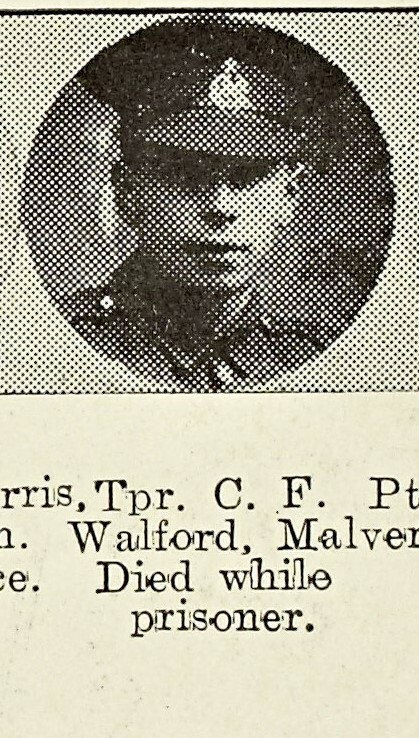 He joined the Worcestershire Yeomanry at Worcester and served in Egypt. He was reported missing after Turkish forces surrounded squadrons of the Worcestershire and Gloucestershire Yeomanry at Katia in the Canal Zone of Egypt. Although being listed as having died of dystentry in Egypt, he was buried in Mesopotamia (modern day Iraq) and was commemorated on the Angora Memorial to prisoners of war; so it seems likely that either at Katia, or later he was taken prisoner and died in captivity.